Fishing is our addiction, Guiding is our passion, Adventure is in our blood! The Skeena river steelhead run is looking strong and healthy we have experienced low water most of the 2015 season but as fall approaches the rains have begun to fall giving the avid angler and guide a little twist on hunting the mighty summer run skeena river steelhead. As the season progresses the numbers of fish in the systems of the North become plentiful giving guided anglers double digit days of hooking chrome can be more the norm. 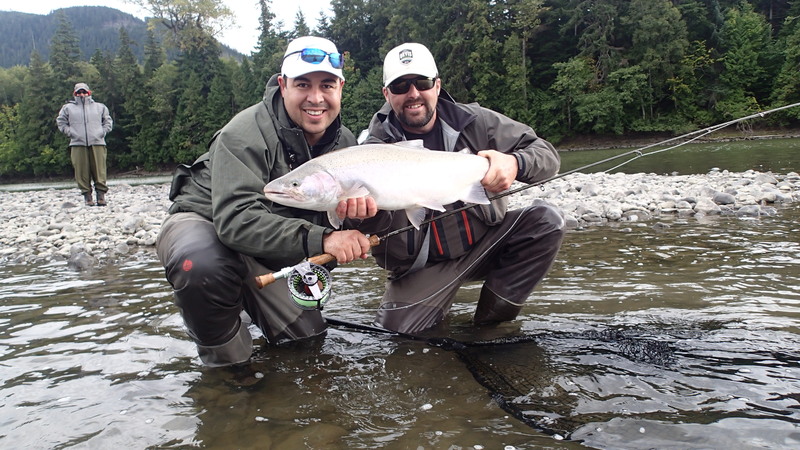 Photos below are from Sept 5 /2015 Guests of Westcoast Fishing Adventures 2 of the anglers are new to Spey casting and both have now caught there first ever steelhead on the fly. 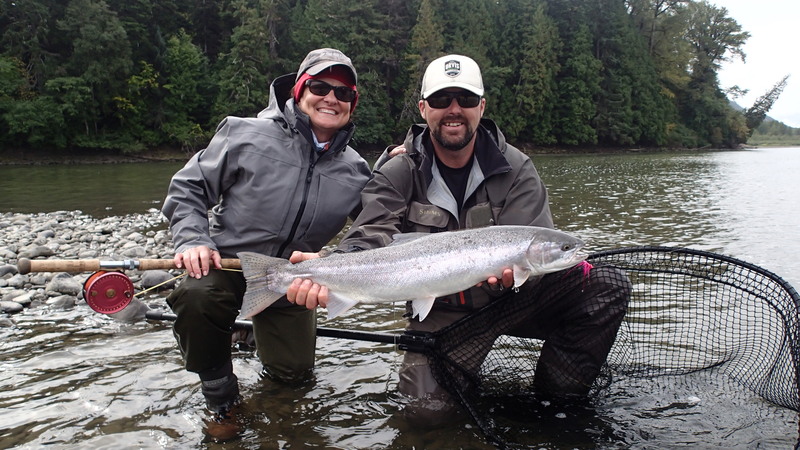 Fred & Angling guide Gill Mckean with a beautiful Skeena river Steelhead. Gwen with her first ever Skeena river steelhead. 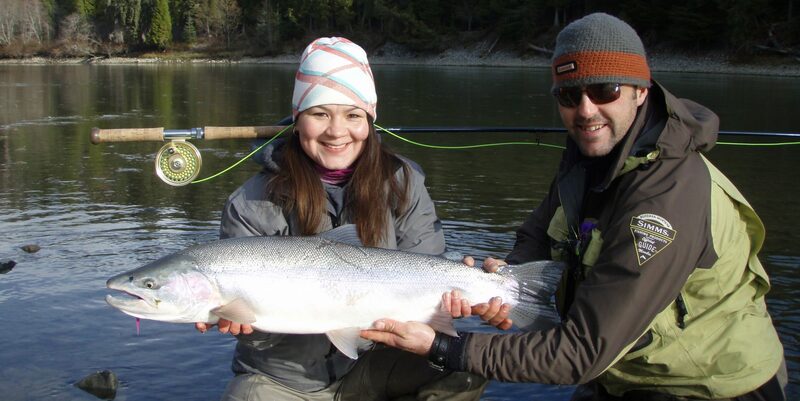 Terrace BC fishing guide for Steelhead & Salmon on the Fly. The Lodge At Skeena Landing. Book your Adventure Select Category Flyfishing Salmon&Steelhead Lodging & accomodations Terrace BC Skeena river Chinook salmon. Terrace BC steelhead guides.